The capital city of Accra, in Africa's most stable country, Ghana, should be on every European tourists' list of places to travel, and in plenty more holiday plannersas well. Compare and book cheap flight tickets to Accra with Compare and Fly, with available flights out of almost every European city.And once you're there, the cost of your vacation will be a fraction of the price of other destinations, thanks to our ability to find cheap flights to Accra for you, so what's not to love? Once a small port town, Accra has since grown to be one of the largest, and safest, cities in the whole of Africa. Here, you will find bustling nightclubs with DJs and people dancing the night away. Or, only 100 metres away, you can listen to live jazz or reggae, while dining al fresco on an authentic African dinner. In addition to the abundance of nightlife that Accra has to offer, there are also beautiful beaches where you can lay out in the sun, have a swim, or just "people watch". 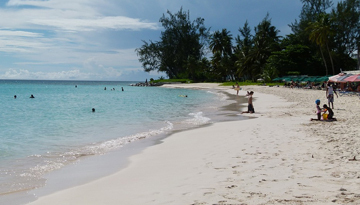 The beaches are fairly quiet during the week, but on the weekend they turn into a pretty good party scene, with most of the locals coming to the shore for the day. If you're interested in culture, Accra has you covered as well. Artists Alliance is a five-storey gallery showcasing paintings, sculptures, and embroidery from artists throughout Ghana. For something a little different, check out the Kane Kwie Carpentry Workshop. Inside this eclectic studio, they handcraft “designer” coffins made to look like fish, cars, or animals, and all are painted in bright, vibrant colours:definitely not something you'd find in any other gallery, yet still pretty interesting! For something a little more contemporary, try visiting the Nubuke Foundation. Set up to showcase the talents of the Ghana people, this foundation has film, music, art, and dance exhibitions aplenty, and is open for anyone to visit. Kwame Nkrumah Memorial Park and Mausoleum is the place to go if you're interested in the brief (but fascinating) history of the country of Ghana. This park is dedicated to the late Doctor Kwame Nkrumah; Ghana's founding father and first president. There are guided tours (in English)that will give you some history on the man himself, and also the country he so famously founded. This is a nice way to spend half a day, and also an unbeatable opportunity to learn about the country you're visiting. Perhaps you're more into the culinary scene? Then you're going to be thoroughly pleased with a visit to Accra. Bread & Wine is one of the many upscale French restaurants that calls Accra home. They serve contemporary, as well as classic, French dishes such as daube de boeuf, coq au vin, and croquemadame. If Asian food is more your style, thenSantoku is a newly-opened Japanese restaurant owned by chefs from the famous Nobu London. Here, you can dine on teriyake pork belly, pan-fried scallops, or freshly prepared sushi. If you're looking for something different to do for your next holiday, skip the same old boring beach towns, and browse discounted flights to Accra via Compare and Fly for an inexpensive, and relaxing, holiday. Unlike many other comparison sites, we only source offers that really are as good as they seem, so you'll never find additional fees added onto the price of a flight when you access the booking website. Find deals and compare flight tickets with us today. 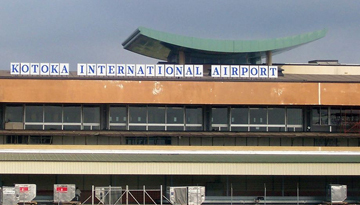 Best Emirates flights to Accra from Heathrow with return economy class fares at £589*. The Aknac Hotel is the fantastic luxury accommodation located near the City Centre. 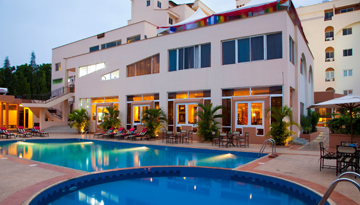 Fly from London to Accra & Stay for 7 Nights with 3 star accommodation. Include Room Only.